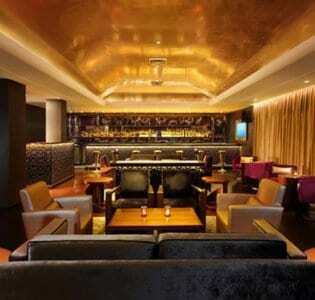 This attractive hotel bar takes its name from the Sanskrit word for fire. The space oozes sophistication. Its muted, earthy tones are accented with subtle splashes of orange – and a trellis of bronze on the back wall has been designed to look appropriately flame-like. An affluent crowd of media types perch on comfy leather divans and rest their drinks on the glass-topped tables. The bar is sweeping and elegant and there’s a small dance floor should the mood take you. DJs play laid back beats into the night, keeping things cool; no pounding techno. And though it’s not in-your-face flashy, you’ll still need a well-fed wallet to really enjoy a night here.